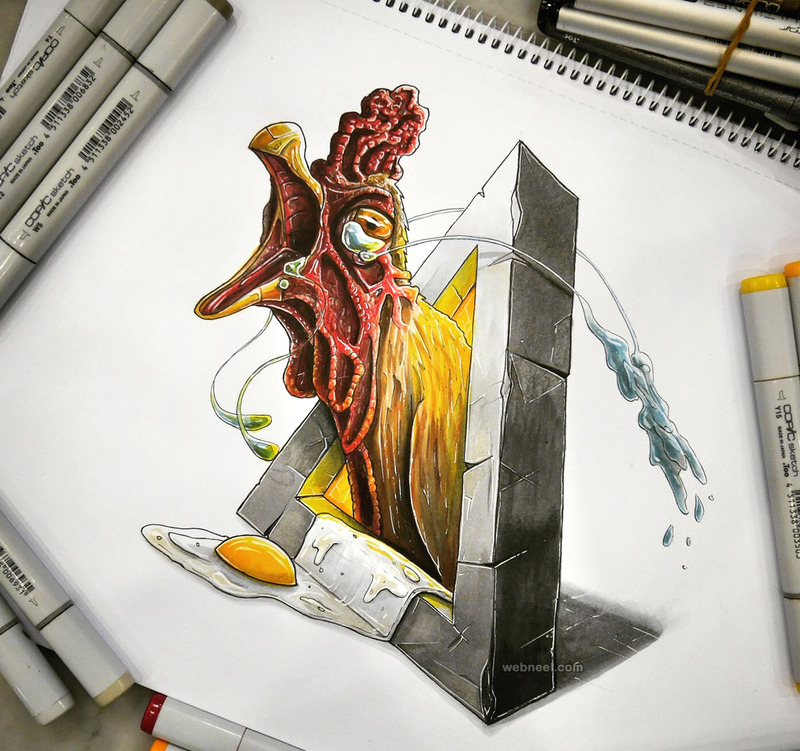 Creative drawings: Tino Valentin Copic is a graphic designer, artist, Ilustrator from Bangkok, Thailand. 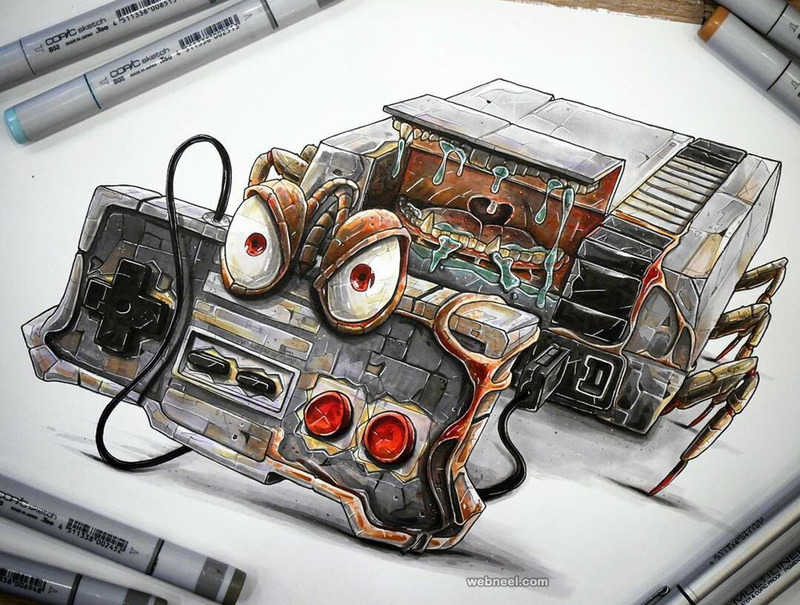 He creates amazing video game characters and he does the sketching on paper. 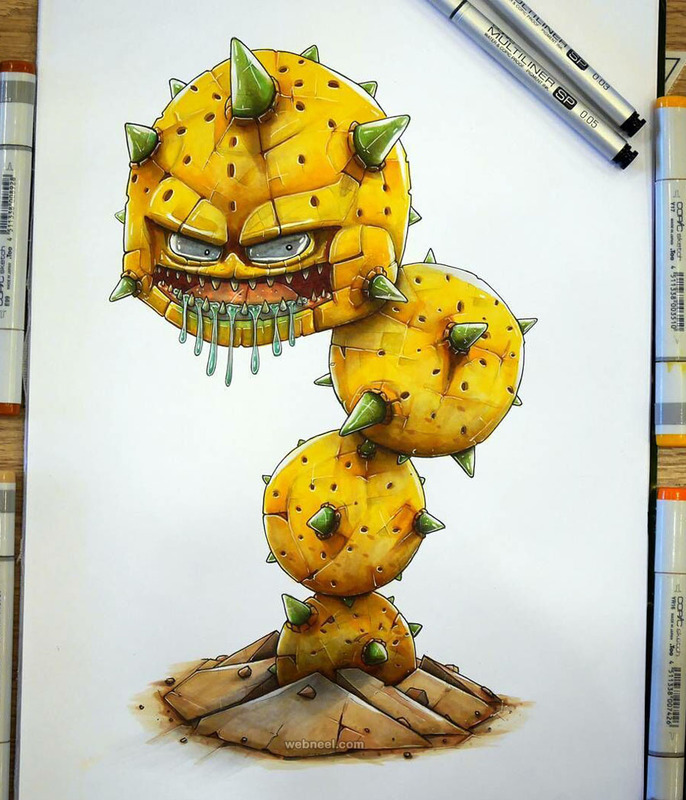 He is an expert in copic markers sketch, characters design and game design. 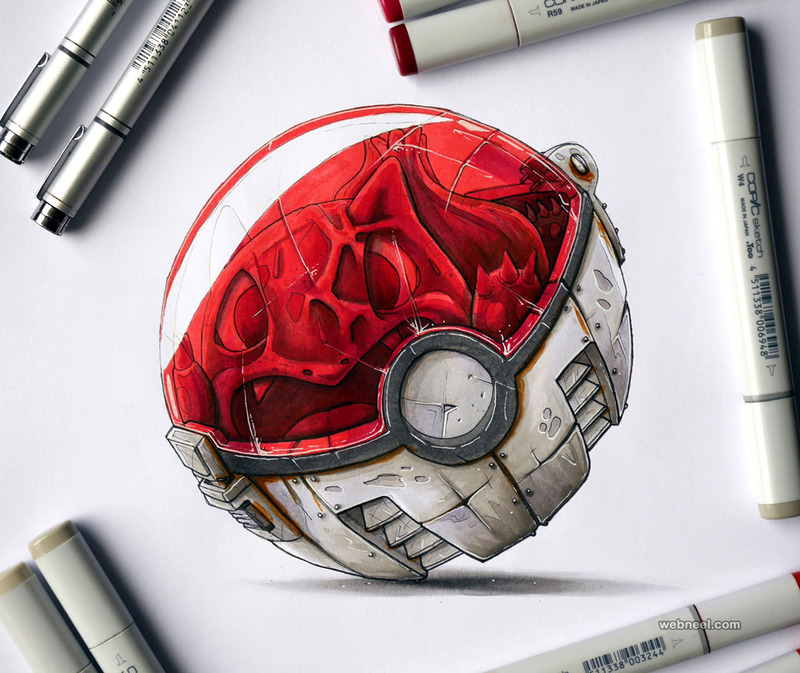 So if you have something on mind, you can contact him for commission works. 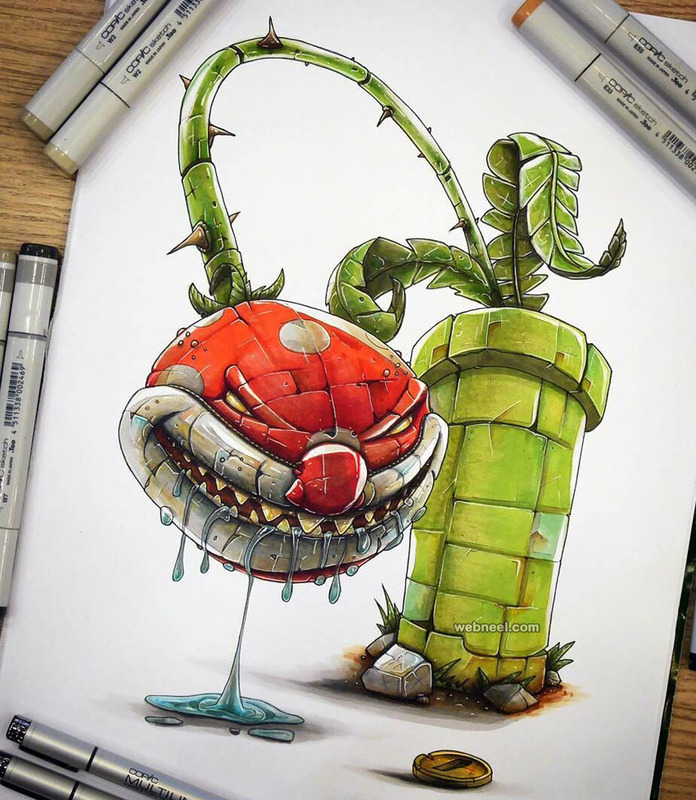 Each one of his characters designs are so unique and it's surprising to see much detail on such a small piece of drawing. 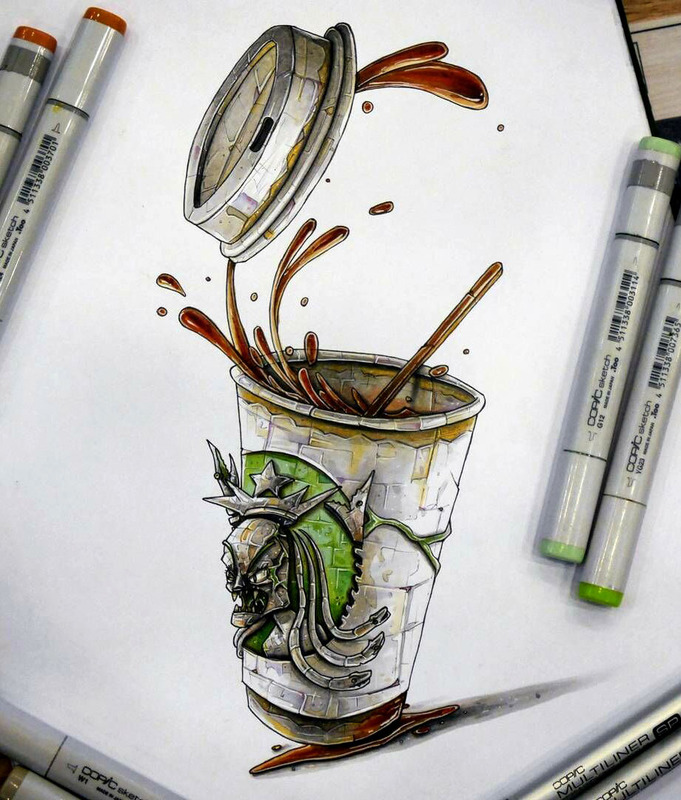 His drawings look so realistic, eventhough he has used only sketches and markers for coloring them. 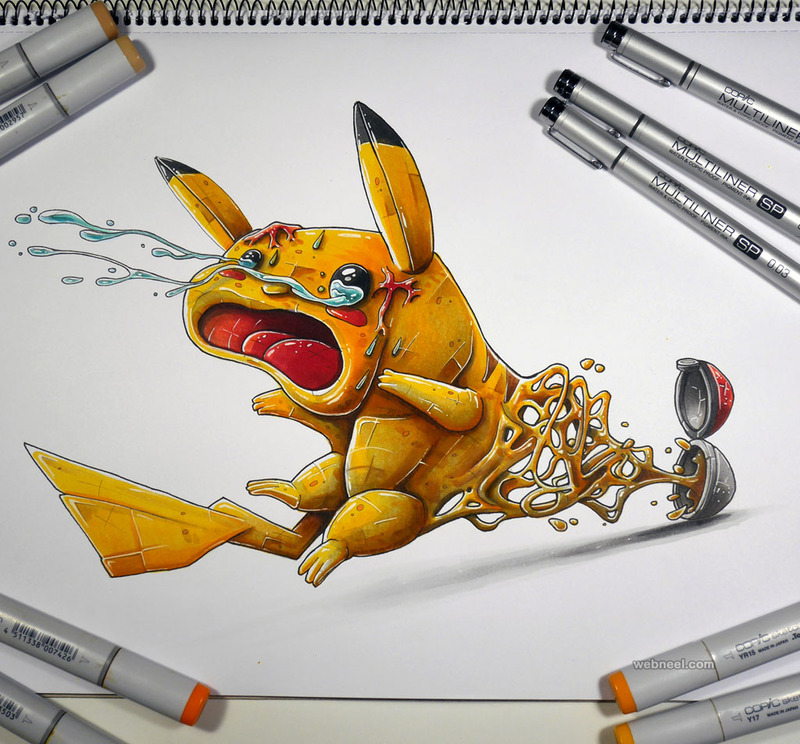 They seem to jump out of the paper and ready to go. 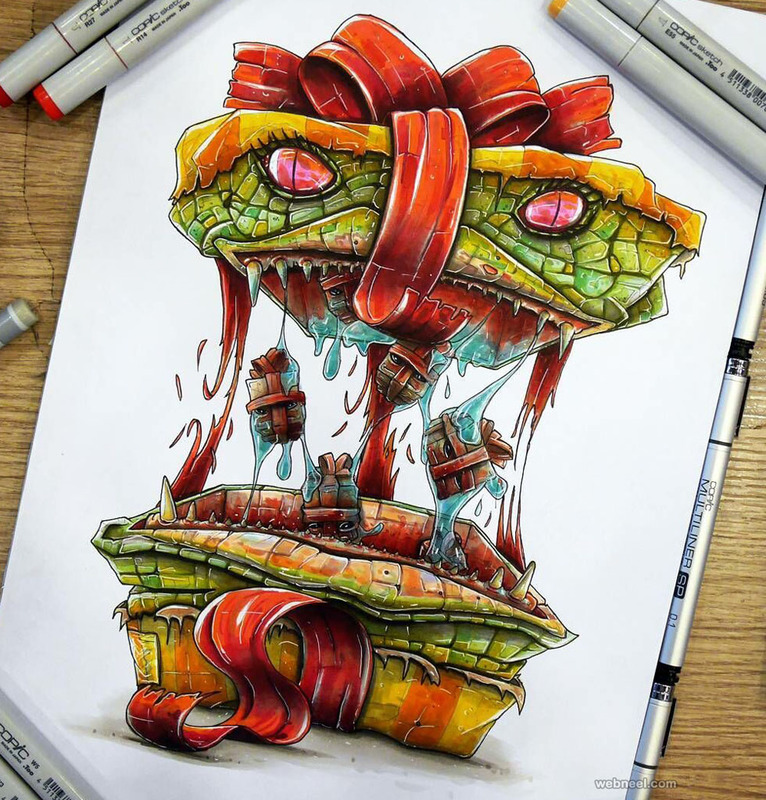 Soome of the creative drawings are from movie characters like the monster book from Harry Potter, if you don't know to shut it right, they tend to eat you up. 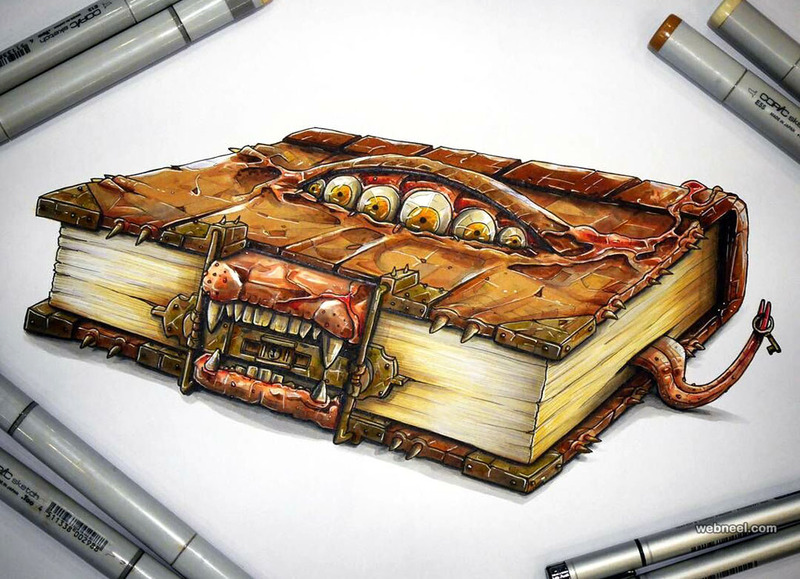 The book was so scary in the movie and even in the sketch the artist has given it the exact mean look. 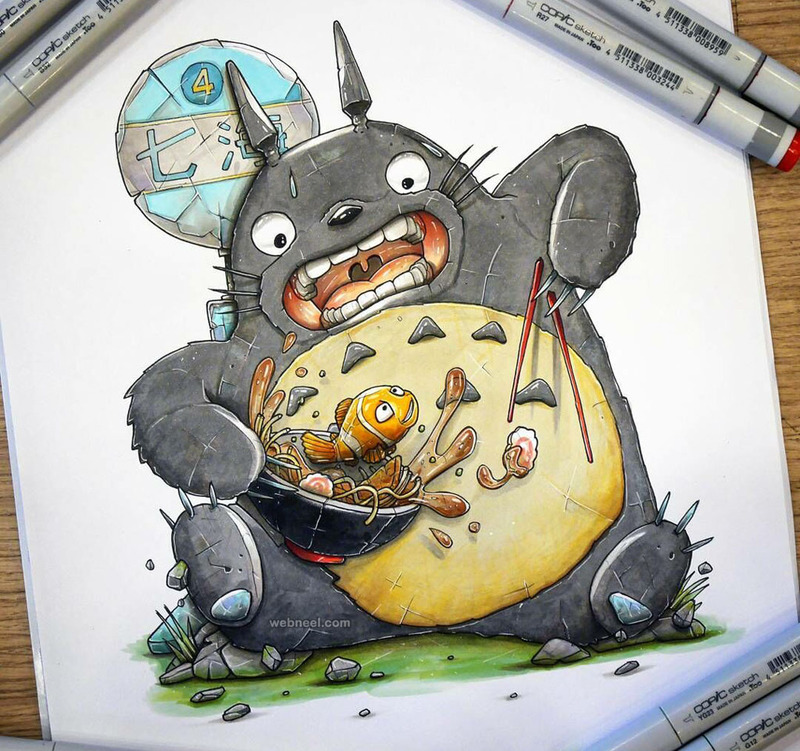 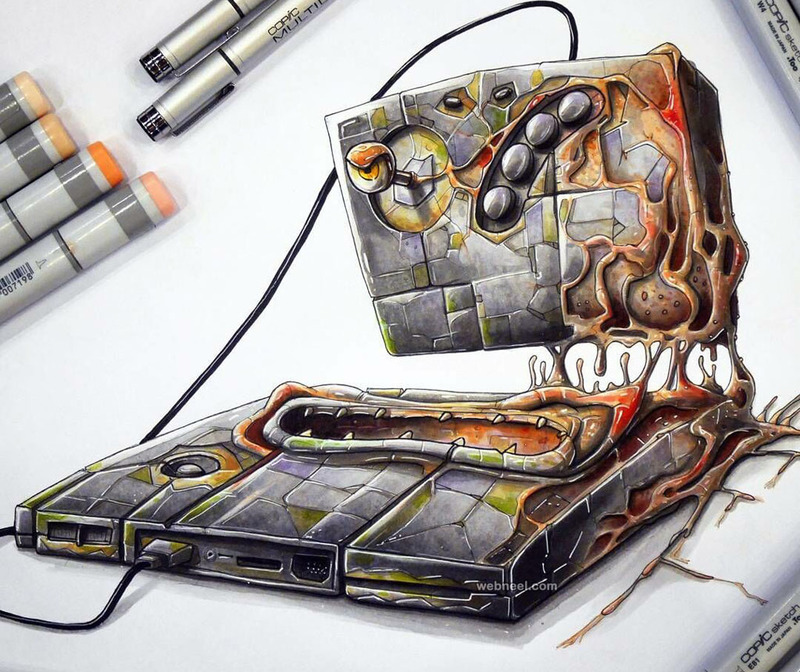 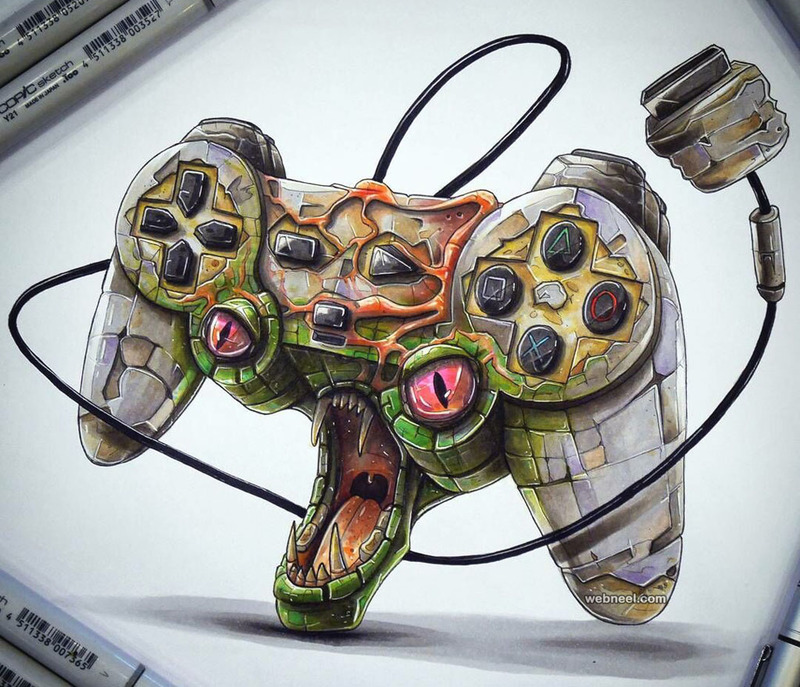 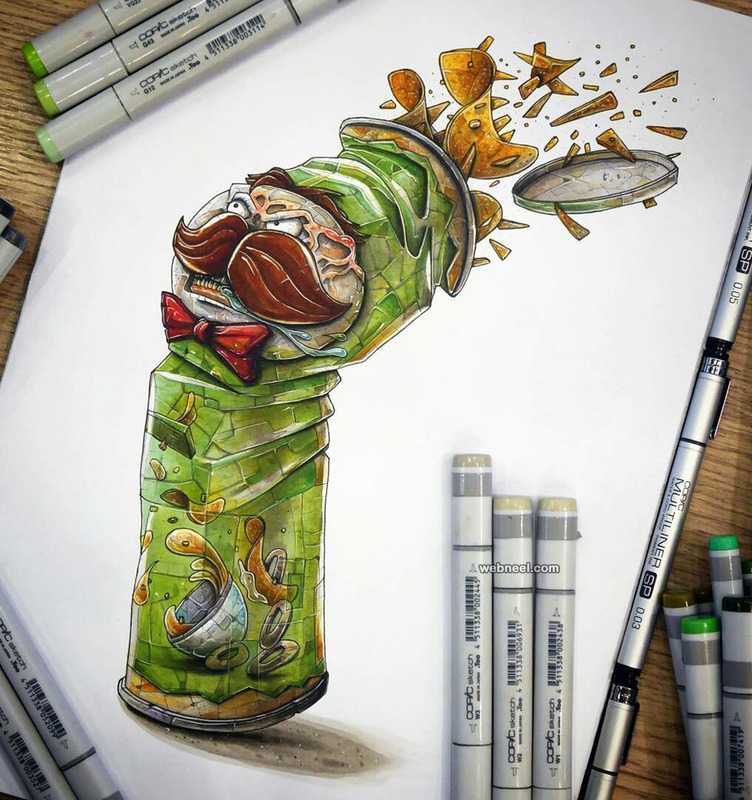 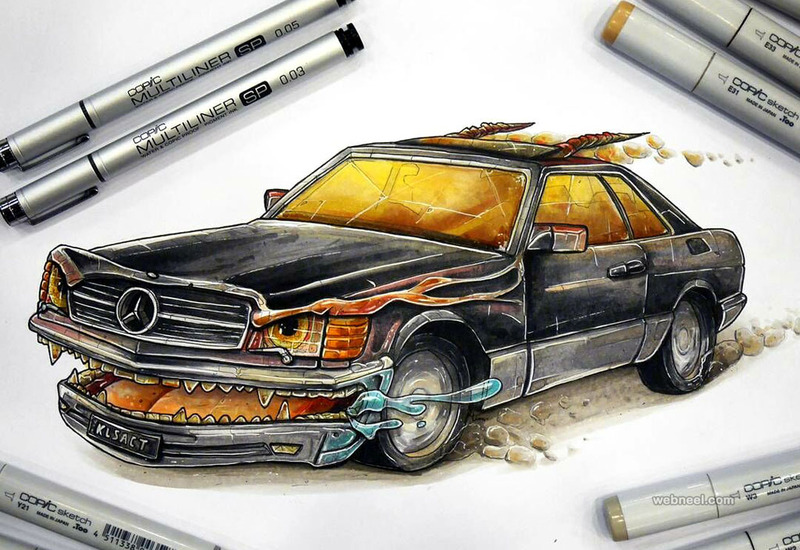 You will be amazed with kind of creative drawings Tino Valentin Copic can come up with. 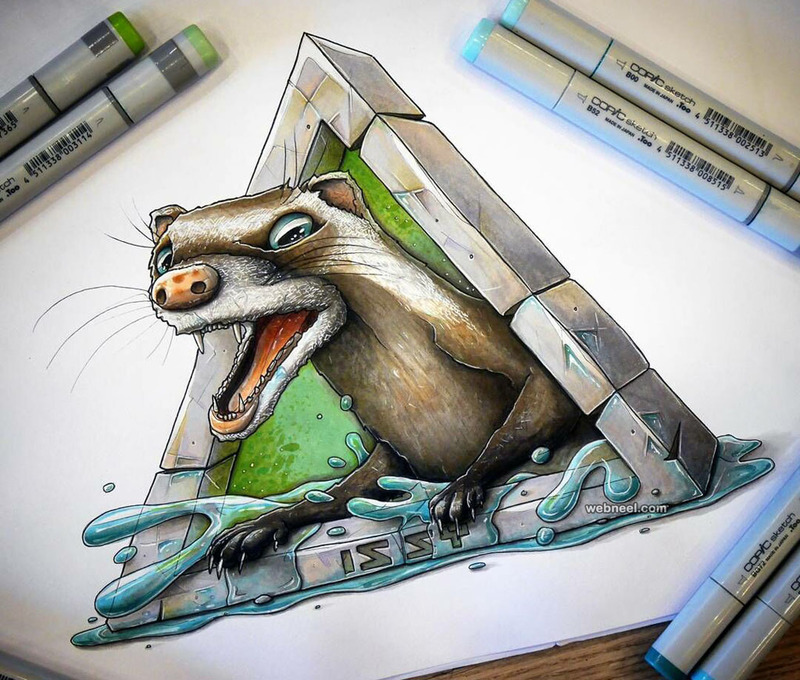 You can check his blog for more details, but before that have a sneak peak at his wonderful work, which is truly jaw breaking, since one can't stop staring at his work. 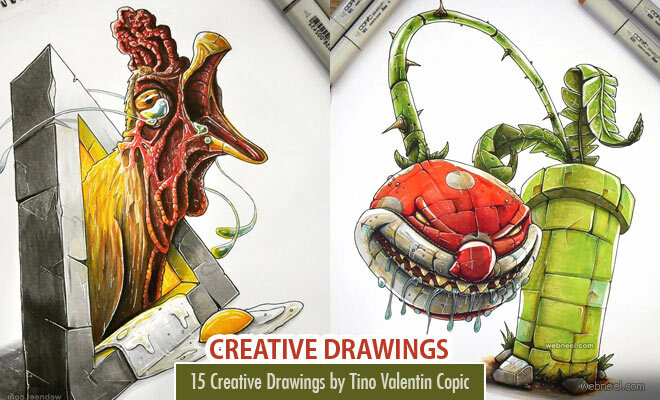 Tell us your favourite drawing creating by Tino Valentin Copic.